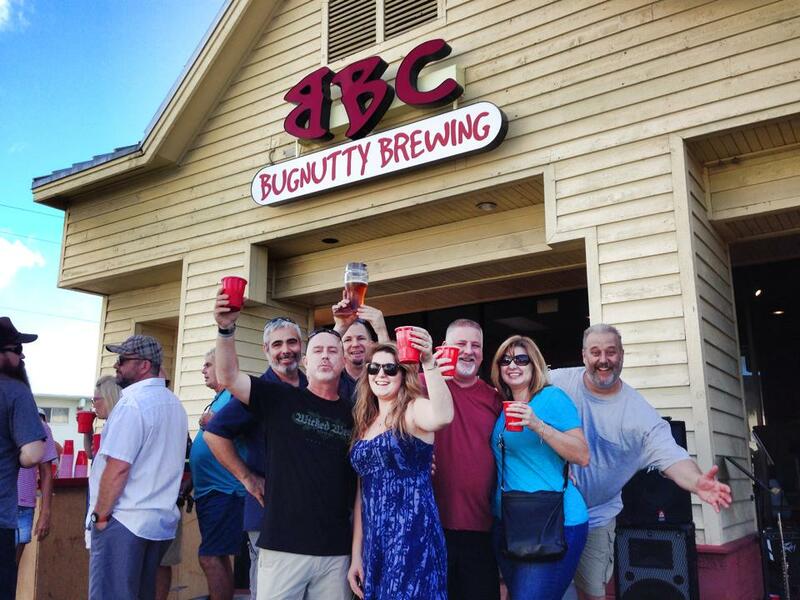 In case you missed it, Bugnutty Brewing Company celebrated their one year anniversary Saturday September 13 as Merritt Island’s first and only brewery. My husband and myself went out to support them and check out what all the fuss was about. The party went down with some of their favorite people in the Florida beer community including several people from Brown Distributing. Pulling into the parking lot it was clear we were in the right place, with the rock rhythm of ‘Outta Sight Band’ loud and clear from the front of the brewery. The place was PACKED. I mean shoulder to shoulder, people spilling out the door packed…It was awesome! We went straight to the bar of course and despite being extremely busy we were greeted with smiling faces. I ordered the Kolsch and the hubs went for the Red Falcon IPA. The Kolsch was true to style and perfect for a hot day, I enjoyed it throughly. However, I did steal a few sips of the Red Flacon which as a Black IPA had a nice balance of hops and roasted malt flavor. 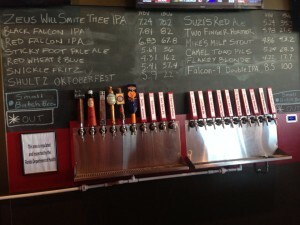 There was over 10 of their delicious beers on tap all day, and my personal favorite was the Oktoberfest. It has a beautiful amber color and was very balanced and finished nice and clean. YUM! 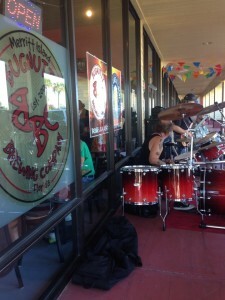 Don’t wait and head out to Merritt Island and enjoy Bugnutty Brews and some great company.